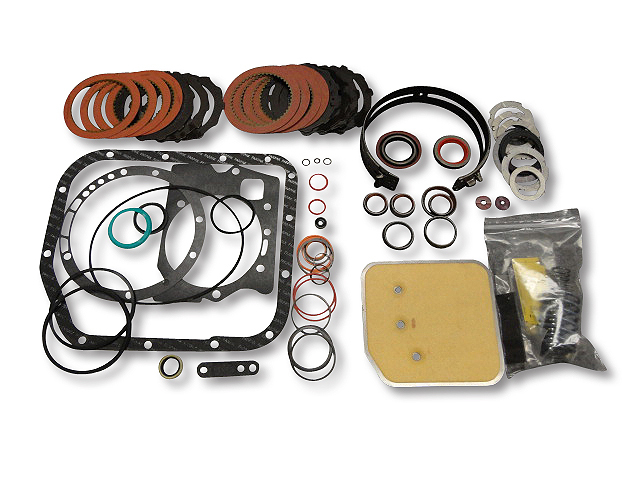 We have assembled a line of performance rebuild kits that have the parts needed to freshen up or rebuild the most common rear wheel drive transmissions used in performance vehicles today. 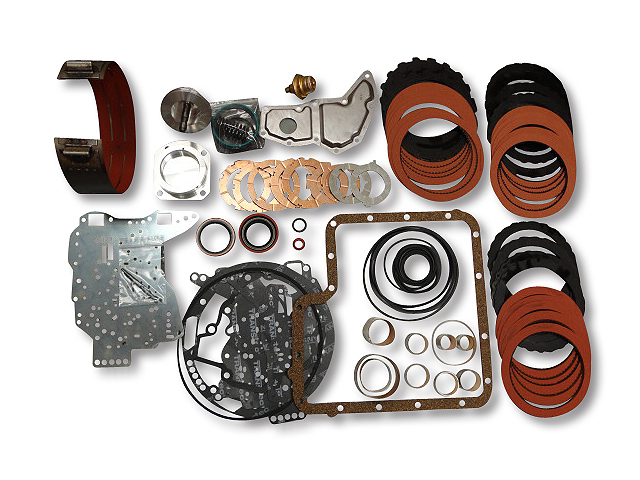 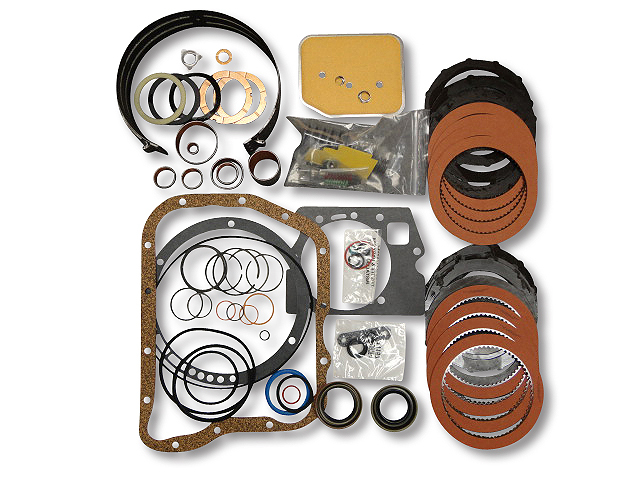 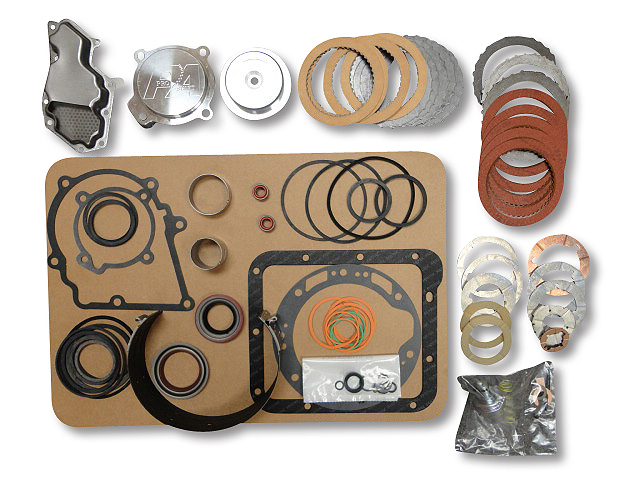 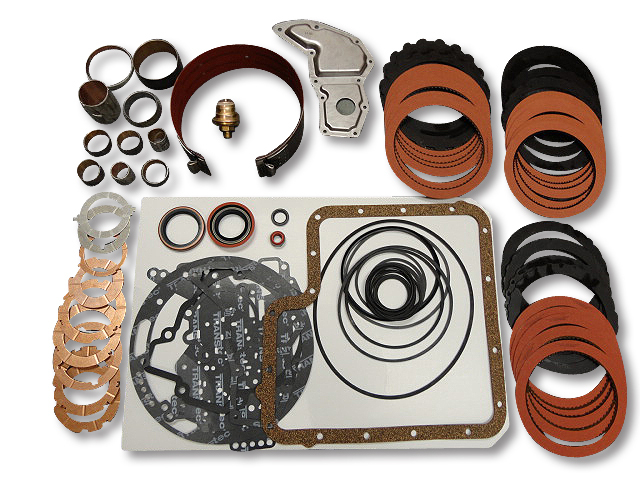 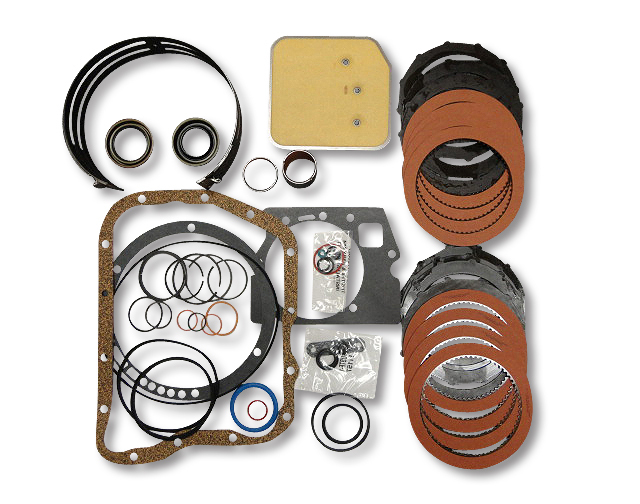 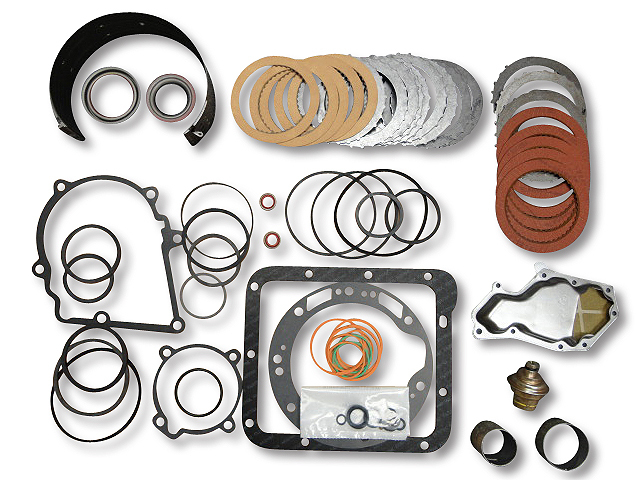 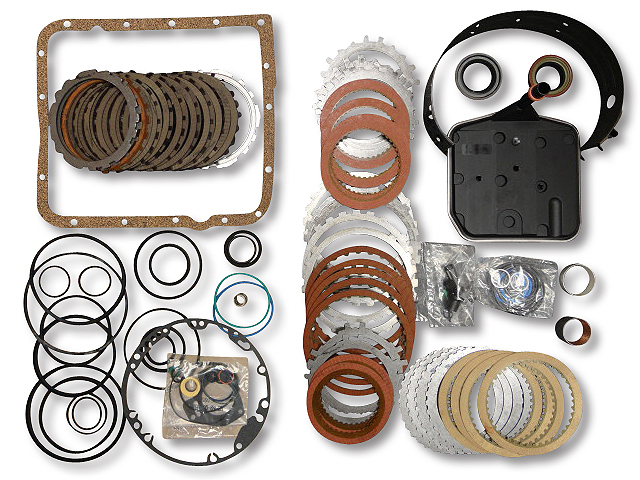 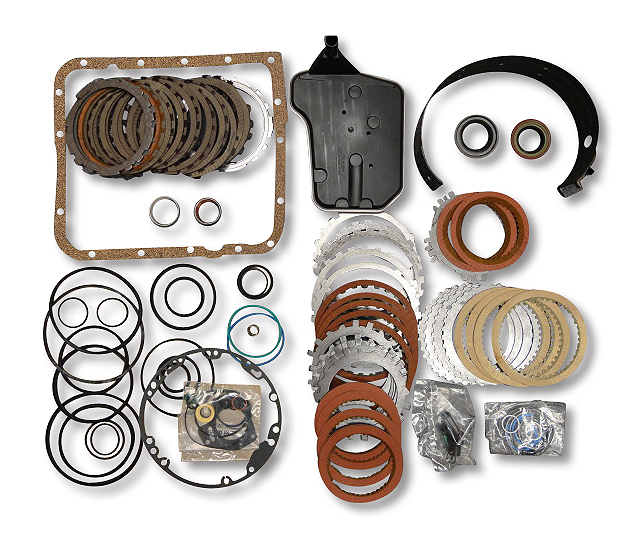 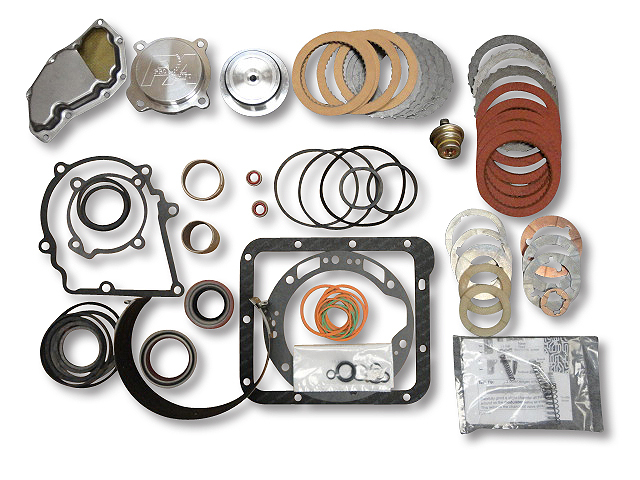 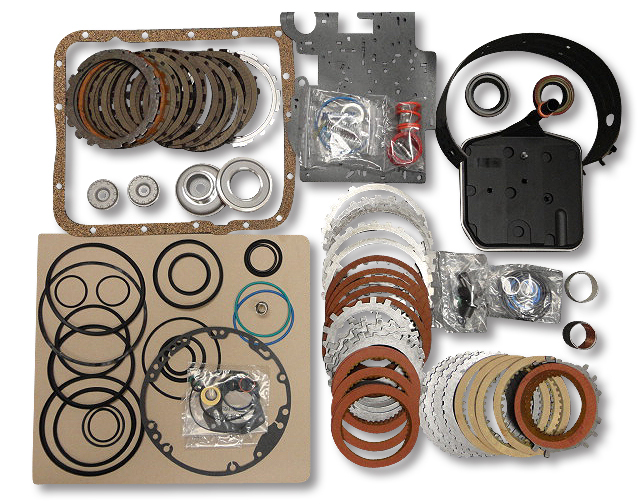 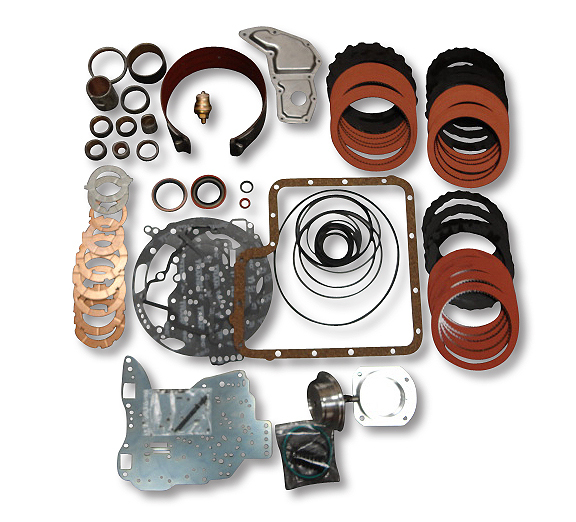 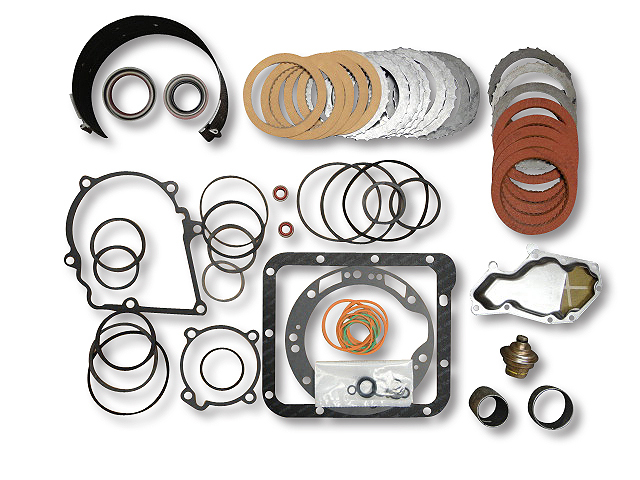 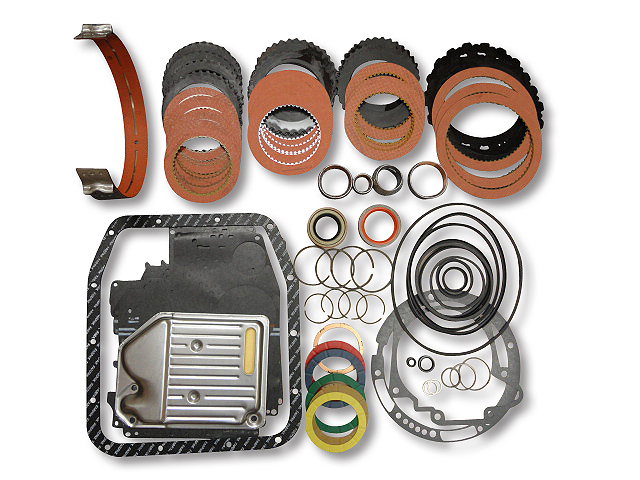 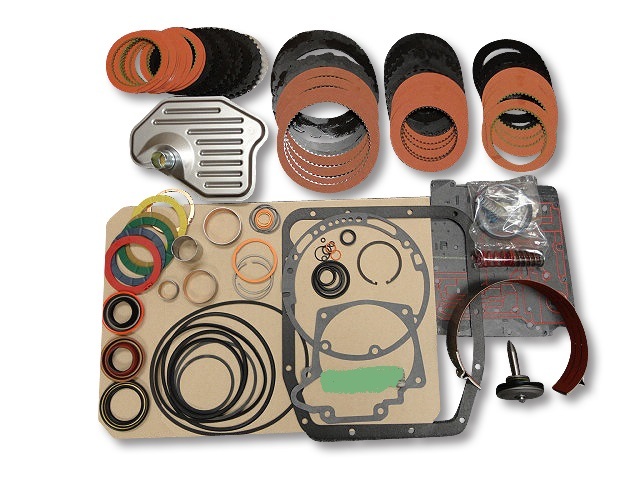 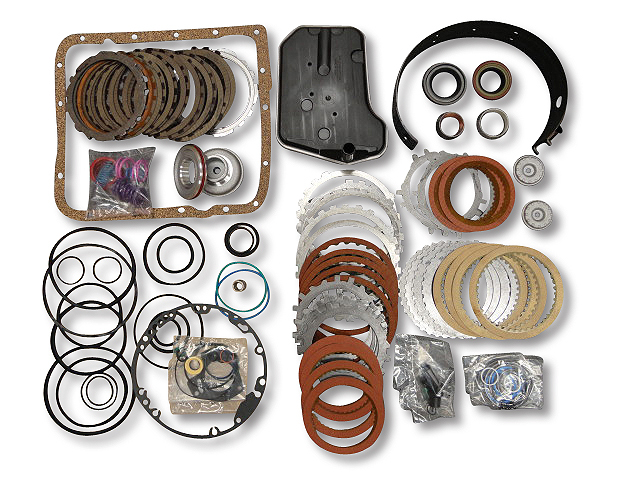 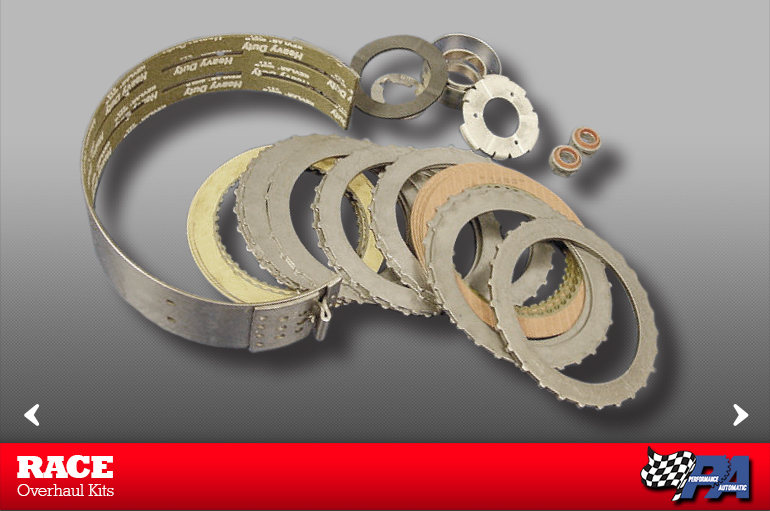 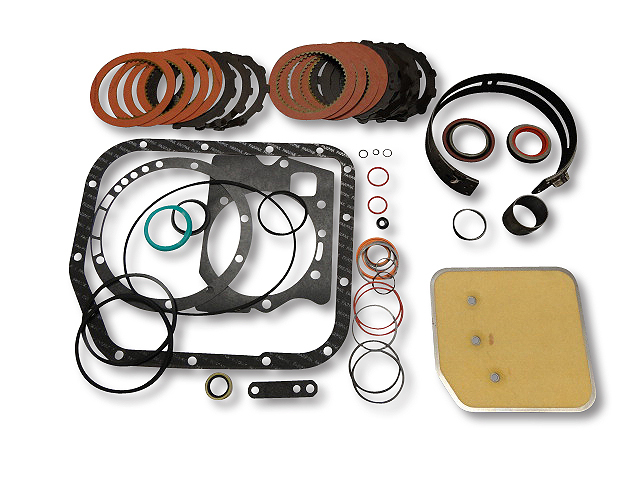 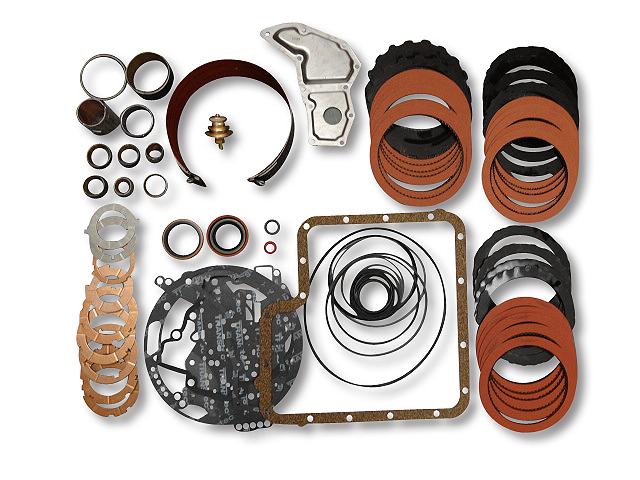 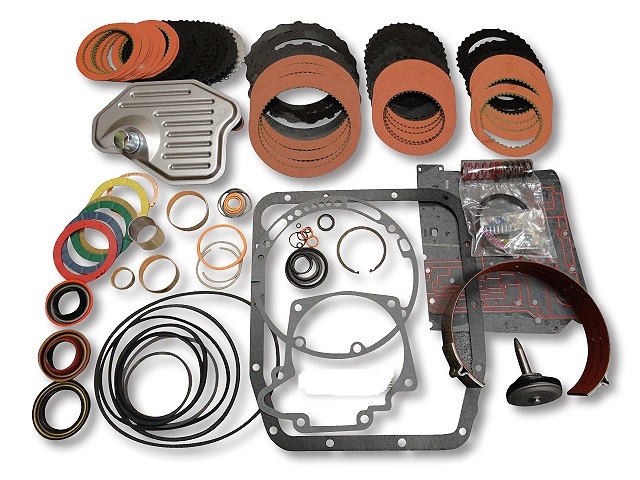 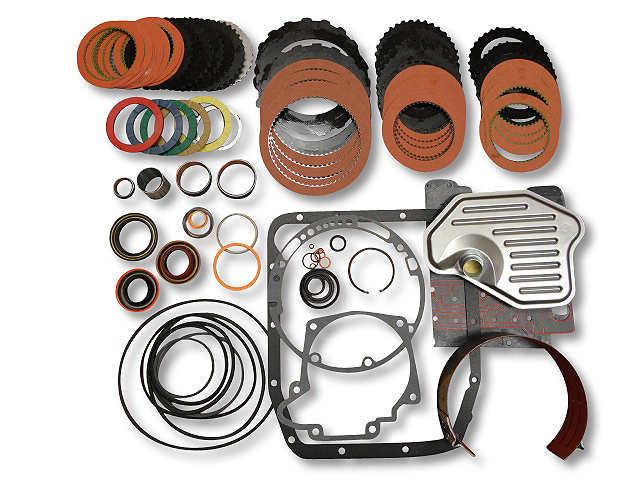 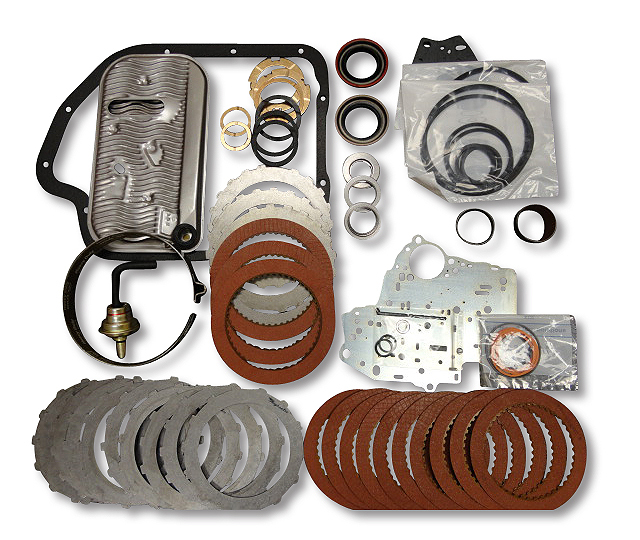 All the seals, gaskets and clutches you need to bring your transmission back to life! 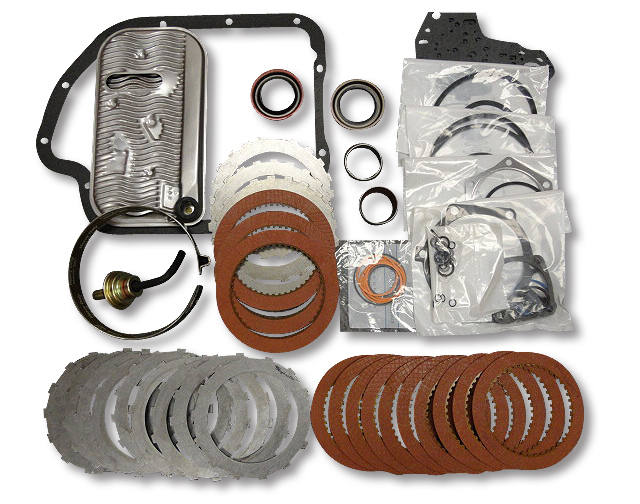 Our Pro Max kits start with our handpicked overhaul kit with high performance clutches and bands then we go and add all the extra performance mods to really step up the program. 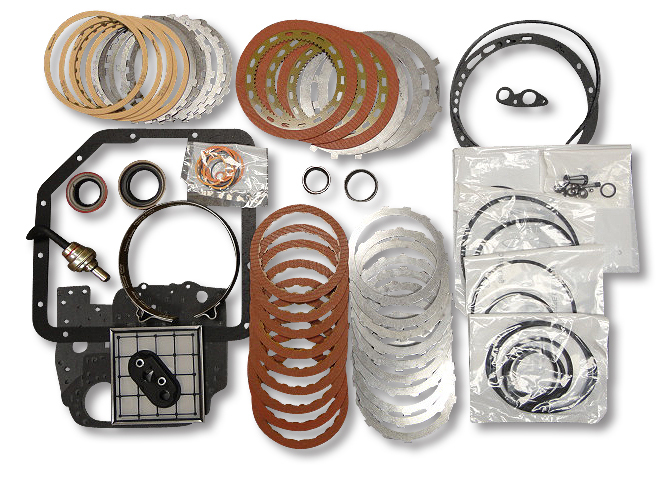 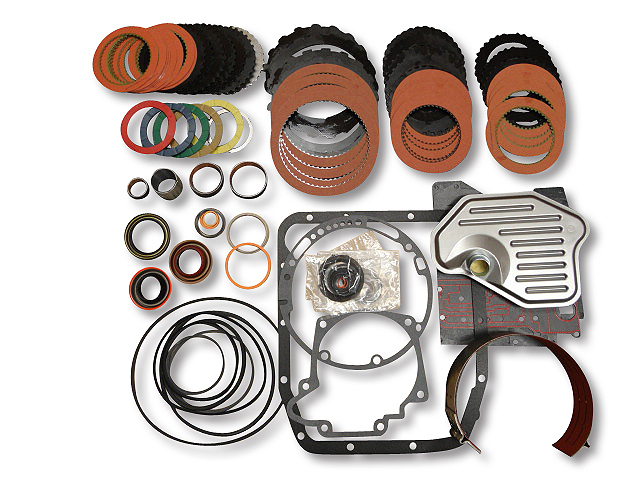 We add a valve body shift improvement packages, racing type clutch plates and various servos, valves, sprags and washers to make this the best kit you can buy. 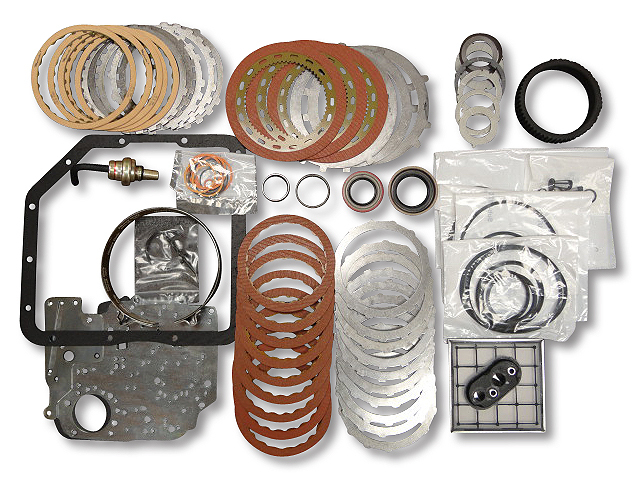 These are the same parts we use on all of our Street Smart and racing transmission packages.